Successful completion of the VFR On-the-top (VFR OTT) Rating Program leads to eligibility for a VFR OTT Rating issued by Transport Canada, and the issuance of a Certificate of Qualification—VFR On-the-top Rating by Langley Flying School, Inc. The holder of a VFR OTT Rating may conduct flight above cloud where the ground is not visible in accordance with Section 602.611 of the Canadian Aviation Regulations. Credit for the VFR OTT rating may be transferred to Commercial Pilot Program. The above pricing is a limited-time offer and is subject to change without notice. Costs include all fuel costs and use of pilot headsets. Langley Flying School does not employ a fuel surcharge fee system. Prepayent of fees is not required. Students pay tuition and aircraft unitlizations at the conclusion of training flights, and pay groundschool tuition at the beginning of the session. All flight schools in British Columbia are required by law to charge the GST (5%). Visa, MasterCard, American Express, and Debit Cards are accepted. Aircraft rates may be subject to change with minimal notice, depending on such things, for example, as fluctuating aviation fuel prices. The holder of a licence endorsed with a VFR OTT Rating may exercise the privileges of the licence while flying VFR above a cloud ceiling. This rating requires the applicant to have 20 hours flight experience in the same aircraft category. When a vacuum failure occurs, the heading indicator can no longer be used for turn information; turn information—simply the heading of the aircraft—must therefore be derived from the compass. The compass, however, is subject to turning errors, making it useless as a means of determining heading while the aircraft is a banked attitude. Accordingly, changes in aircraft heading, within the context of a failed vacuum system (partial panel), must be accomplished by timing (in seconds) the short intervals at which the aircraft is held in a standard-rate turn.4 In this exercise students learn organised techniques and procedures for safely and accurately producing specified limited-panel heading changes based on timed turns. In this exercise students learn the procedures and techniques required for utilising VOR and NDB navigation facilities, and GPS as aids to VFR navigation “over-the-top.” Attention will focus on techniques for correct identification of VOR/NDB navigation facilities and GPS waypoints, determining the position of the aircraft in relation to the VOR, NDB, and GPS waypoints, and applying a systematic procedure to intercept and track specified VOR radials and NDB/GPS waypoint tracks. This exercise is first flown in the Flight Simulator, and then flown in the aircraft. This exercise introduces students to the skills necessary to conduct cloud-breaking and runway approach procedures. Focusing on both vectored and localiser-approach procedures, this exercise is designed to simulate emergency conditions in which an approach for landing must be made in instrument meteorological conditions. This exercise is first flown in the Flight Simulator, and then flown in the aircraft. VFR OTT is only permitted during the day. Weather briefings prior to flight are legally required and are critical for flight safety. The weather minimum requirement for VFR OTT apply to both the destination airport and the “cruise” portion of the flight. At all times the aircraft must be operated at least 1000’ vertical distance from cloud, and the flight visibility must be at least five miles. When operating between two layers, those layers must be at least 5000’ apart. On the basis of a Terminal Aerodrome Forecast (TAF) or an Graphic Area Forecast (GFA), the weather at the destination airport must be scattered or clear, with no forecast of precipitation, fog, thunderstorms, or blowing snow. Where a TAF is used, these conditions must be forecast for a period no less than 1 hour before and 2 hours after the ETA. Where an FA is used, these conditions must be forecast no less than 1 hour before and 3 hours after the ETA. radio navigation adequate to permit safe navigation. In accordance with Canadian Aviation Regulation 602.60-62, when operating VFR OTT the aircraft must have all necessary charts and publications for the route flown, including any probable diversionary route; the charts and publications must be current. 1 Any person with special concerns regarding the application of these prerequisites should contact the Chief Flying Instructor directly. 2 It should also be noted that some Private Pilots received their licences without instrument training (the requirement for 5 hours was added in the 1980s). These pilots will how have to obtain these 5 hours for both the VFR OTT and the Night Rating. 3 The challenge here is that the sources of information related to the aircraft’s attitude are changed—where full-panel (without a vacuum-system failure) is derived primarily from the “attitude indicator,” students must now learn to look to different sources for this data—with pitch information, for example, the pilot must now use the airspeed indicator during a climb or descent, and the altimeter when transitioning to, or maintaining, level flight. 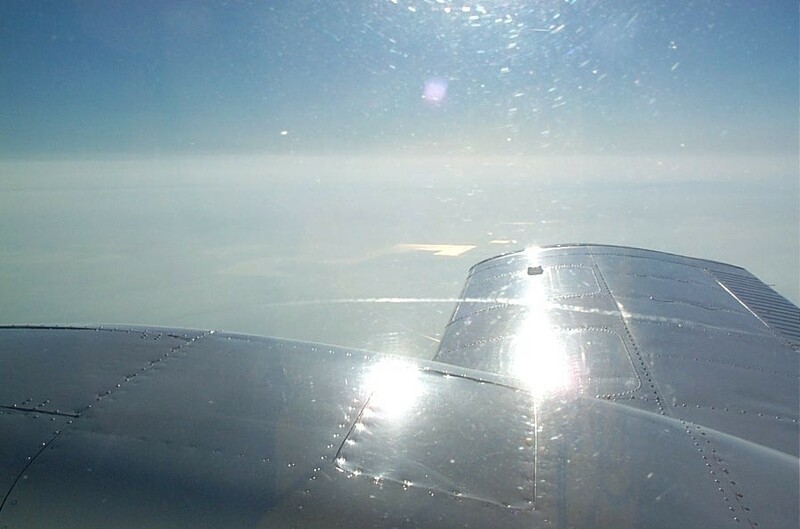 In requires lots of practice to achieve conformity with the flight test standards for limited panel instrument flying. 4 To accomplish 30° heading change, for example, the standard-rate turn must be precisely maintained for 10 seconds—a standard-rate turn is of course 3° per second. 5 Recovery form limited-panel unusual attitudes requires disciplined adherence to the “priority of actions”—especially in the case of impending spiral recovery, where the flight condition must be immediately “read” from the panel, the power must be immediately reduced to idle, the wings levelled, and dive recovery implemented. There can be no deviation from this sequence. Recovery from spins on limited panel sounds ominous to most students, but is in fact relatively straightforward. 6 GNSS stands for Global Navigation Satellite System—i.e., GPS. GPS is recognised by the International Civil Aviation Organisation (ICAO) as the primary navigation system of the future, and the effective use of cockpit GPS equipment is therefore an essential skill of future commercial pilot. The use of GPS is just emerging in air-taxi and commuter operations in Canada; the power of GPS verges on fantastic—if GPS has been installed in a cockpit (especially IFR certified GPS), it essentially dominates conventional navigation equipment such as VOR, DME, and NDBs, owing simply to the unsurpassed situational awareness it affords to the pilot.